We Welcome you to our new, pre-owned, used car, and luxury vehicle super store. Our high-end used car dealer is in Iselin, NJ. Serving customers in Middlesex County, Somerset County, and Monmouth County, Flawless Auto Mall has the vehicle you have been searching for at a price you can afford. With a friendly and helpful sales staff, highly skilled mechanics and multiple automotive certifications, our Iselin, NJ used vehicle dealership is your one-stop automotive center. Our mission is to make every customer a customer for life by consistently providing world class services. Superb customer care, competitive prices and a knowledgeable staff are a few of the things you will find at our used Cadillac, used BMW, used Audi, used Mercedes Benz, Used Altima, used Honda Accord, used Jeep Wrangler, and used Dodge Ram 1500 are just some of the vehicle makes and models at our used car dealership. Visit us today and take a test drive in your dream car. We are located a short drive from Woodbridge, Staten Island, Elizabeth, Hazlet, Freehold, Perth Amboy, and Edison. We are just minutes away from NYC, New York City. If you’re looking for a vehicle to drive on the streets of NJ, NY, and PA in style, check out our large inventory of luxury pre-owned BMW, Cadillac Escalade, Range Rover, Bentley, Mercedes Benz, Audi, Nissan, Honda, and Toyota. We have hundreds of used models in stock, so take a truck for a test drive today. You’ll find that we have a vehicle for every need, from getting around town without having to fill the gas tank, to hauling equipment or kids! 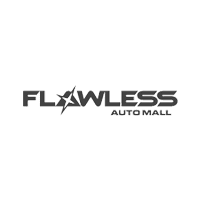 The service you’ll get at Flawless Auto Mall will be 2nd to none! Call to speak to a friendly salesperson, or stop in and see us at 820 US-1 Iselin, NJ. Our great selection of ‘like-new’ used cars in Iselin for you to choose from are thoroughly inspected to ensure their reliability. 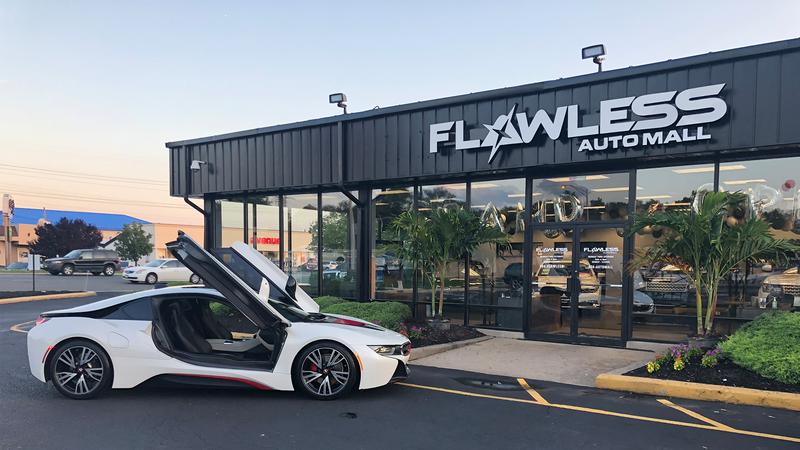 At Flawless Auto Mall we pride ourselves in the quality that we offer on all of our used cars, which makes us a major destination for used vehicles around Iselin, Avenel, Perth Amboy, Edison, Elizabeth, Brooklyn, Staten Island, Freehold & Lakewood NJ. Come see us today and we’ll help you drive away in your dream vehicle! Find Your Ideal BMW, Hyundai, Nissan, Ford, Chevrolet or Infinity in Iselin or the Hazlet & Staten Island Areas. Don’t be intimidated by the financing process. The car loan and lease experts at Flawless Auto Mall will do the work for you to ensure you get the lowest possible rate on your financing plan. We will work with area and national lenders to provide you with options, from low rates to short terms. Come to Flawless Auto Mall for your used car loan in Iselin and you won’t have to go from bank to bank looking for a great rate. We’ll do the work for you! Visit Flawless Auto Mall for all your automotive service needs and know you’re getting the help you deserve from industry experts. We provide the Edison region with Jeep Chrysler Ford and Chevy car repairs near Freehold,NJ done to factory specifications to ensure your vehicle is always performing at its best. We also keep a wide selection of original Jeep Chrysler Nissan and Toyota auto parts for quick order fulfillment. If we don’t have your Chrysler or Jeep auto part in stock we can acquire it quickly. Thank you for considering New Jersey’s #1 Auto Mall – Flawless Auto Mall. If you would like more information on our quality used cars stop by our dealership at 820 US-1 Iselin, NJ 08830. If you need directions from Freehold, Hazlet, Staten Island or Lakewood New Jersey to our dealership, just visit our directions page. We are always available by phone during normal business hours, so give us a call today.